For the second weekend in a row, hundreds of thousands of anti-RussianUkrainians filled Independence Square in Kiev to denounce pro-RussianPresident Viktor Yanukovich’s flip-flop and subsequent refusal to signa trade agreement with the European Union, instead succumbing topressure and extortion from Russia’s president Vladimir Putin, who isdemanding that Ukraine join the Russian-led Customs Union. On Sunday, the protesters performed the symbolic gesture of tearingdown the statue of Vladimir Lenin (Vladimir Ilyich Ulyanov),considered by many to be the father of Russian communism and a leaderof the 1917 Bolshevik Revolution. 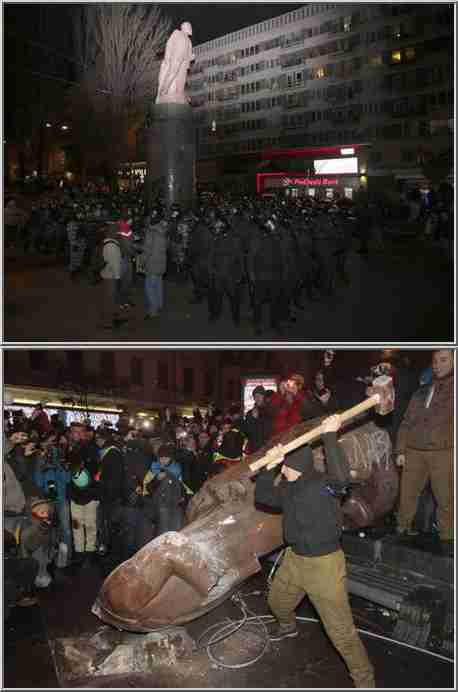 The statue was broken into pieceswith a large sledgehammer, and everyone in the crowd sought to takehome a prized “piece of Lenin.” The move is certain to infuriate boththe largely Russian-speaking eastern half of Ukraine, as well asofficials in Moscow. The United Nations General Assembly voted overwhelmingly on Friday togive to Jordan the Security Council seat that Saudi Arabia hadrejected in October. ( “19-Oct-13 World View — Saudi Arabia shocks U.N. by rejecting Security Council seat”) The Saudi decision wasbased on accusations of hypocrisy, allowing Syria’s presidentBashar al-Assad to kill and displace million of civilianswith impunity, particularly after President Barack Obama’sflip-flop on Syria’s chemical weapons. 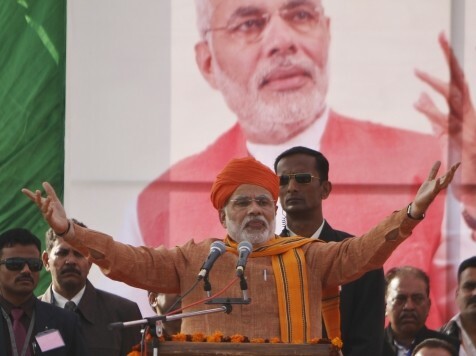 The Bharatiya Janata Party (BJP) made strong electoral gains inSunday’s election, trouncing the ruling Congress Party headed by thecurrent Prime Minister Manmohan Singh. The elections for primeminister will be held next year.